Abstract: This article examines in detail how John Maynard Keynes approached investing in the U.S. stock market on behalf of his Cambridge College after the 1929 Wall Street Crash. We exploit the considerable archival material documenting his portfolio holdings, his correspondence with investment advisors, and his two visits to the United States in the 1930s. While he displayed an enthusiasm for investing in common stocks, he was equally attracted to preferred stocks. His U.S. stock picks reflected his detailed analysis of company fundamentals and a pronounced value approach. 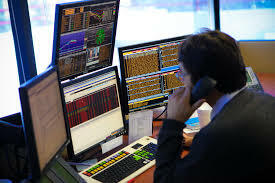 Already in this period, therefore, it is possible to see the origins of some of the investment techniques adopted by professional investors in the latter half of the twentieth century. Source: Business History Review (2016), 90(2,Summer), pp. 301-328 (Free access from October 4 to 18, 2016). This short article looks at Keynes’ purchases of US securities in the period from after the Wall Street Crash until World War II. The investments the authors discuss are not Keynes’ personal investments but are those relating to the discretionary fund (the ‘Fund’) which formed part of the King’s College, Cambridge endowment fund and which was managed by Keynes. The authors rely for their analysis on previously unused archival material: the annual portfolio holdings of the endowment fund; the annual report on discretionary fund performance provided by Keynes to the endowment fund trustees; correspondence between Keynes and investment experts; and details of two visits by Keynes to the US in 1931 and 1934. 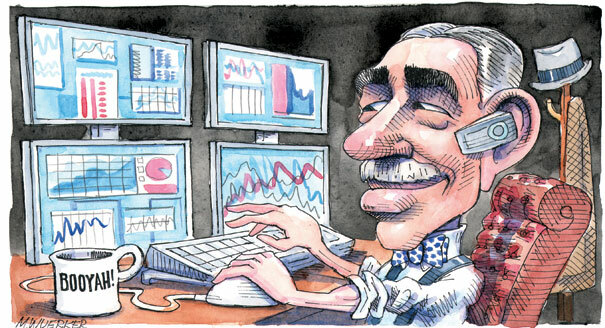 The authors look at various aspects of the investments in US securities made by Keynes. They first note the high proportion of equities in the endowment fund as a whole. They then focus in detail on the US holdings which averaged 33% by value of the Fund during the 1930s. They find that Keynes invested heavily in preferred stock, which he believed had suffered relatively more than ordinary shares in the Wall Street Crash and, in particular, where the preference dividends were in arrears. He concentrated on particular sectors – investment trusts, utilities and gold mining – which were all trading at discounts to underlying value, either to do with the amount of leverage or with the price of gold. He also made some limited attempts at timing the market with purchases and sales, though the available archival data for this is limited. The remainder of the paper explores the type of investment advice Keynes sought from brokers, and from those finance specialists and politicians he met on his US visits. The authors conclude that he used outside advice to supplement his own views and that, for the Fund, as far as investment in US securities was concerned, he acted as a long-term investor, making targeted, value investments rather than ‘following the herd’. This paper adds a small element to an area of research which is as yet in its infancy: the analysis of actual investment decision making in practice, and the evolution of investment strategies over time. In terms of strategies, Keynes used both value investing and, to a lesser extent, market timing for the Fund. Keynes was influenced by Lawrence Smith’s 1925 book which recommended equity investment over bond investment on the basis of total returns (dividends plus retained earnings) rather than just dividend yield, the then common equity valuation method. Keynes appears not to have known Benjamin Graham but came to the same conclusion – namely that, post Wall Street Crash, value investing would lead to outperformance. He experimented with market timing in his own personal portfolio but only to a limited extent in the Fund. He was thus an active investor tilting his portfolio away from the market, by ignoring both US and UK railway and banks securities. Another fascinating aspect which is only touched on in this paper is the quality of investment advice at the time. How does it stack up compared to current broker research? The paper highlights the fact that issues which are still not settled today were already a concern before WWII. 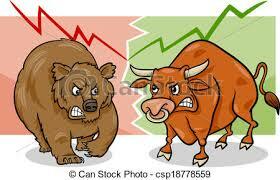 Should you buy the market or try to outperform? What is the appropriate benchmark portfolio against which to judge an active strategy? How should performance be reported to the client (in this case the trustees) and how often? How can one decide how much outperformance comes from the asset allocation choice of shares over bonds, from the choice of a particular sector, at a particular time, whilst making allowance for forced cash outflows or sales such as occurred during WWII? More research on how these issues were addressed in the past will better inform the current debate. This entry was posted in banking, Business history, Business History Review, Capitalism, Economic History, Guest contribution, Guest entry, Joint publication, Money & Banking, Peer reviewed article, USA and tagged business history, economic history, financial history, money, UK, USA on 2016-10-03 by bbatiz.